Last year can be regarded as a significant year for innovation. During the year, the world witnessed the launch of a shapeshifting supercar, an iPhone without a home button and even Sophia, the social humanoid robot who is not just a media sensation, but is also the first robot to receive citizenship. The banking sector also experienced its fair share of disruptive innovation. Poland’s Idea Bank unveiled the first bank branch on rails, allowing customers to bank in transit on train carriages. Meanwhile, Belgian’s KCB Bank used blockchain technology to develop a seamless car loan service that covers every possible customer need, from the moment they sign the order to the point they drive their car off the dealer’s lot. Furthermore, Russia-based Sberbank has leveraged digital assistants such as Siri to help users change their financial habits for the better, saving them time, money and effort. Essentially, the growing dynamism of financial services, combined with the rapid proliferation of fintech start-ups (both globally and within Africa), has forced banks to do things differently. As technology continues to forge fundamental changes in the way that banking works, it is also offering banks a perfect opportunity to create a thriving digital future. World Finance spoke to Segun Oloketuyi, Managing Director and CEO of Wema Bank, to discuss how the bank overcame the economic difficulties plaguing Nigeria and seized the chance to become an innovative leader in the country’s digital banking space. At the start of 2017, Wema Bank was facing several global and domestic challenges. 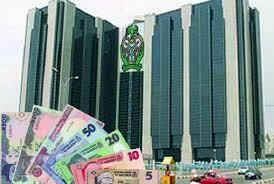 Nigeria, its operating market, was in the midst of a recession, while simultaneously facing serious inflation. Not only this, but uncertainty surrounding oil prices continued to linger, and the problematic multiple forex regime remained in place, resulting in slowed local production and weakened spending. Banks across the country were forced to rethink their strategies for the year. Several bigger banks, for instance, trimmed private sector lending and focused on consolidating their positions by investing in government securities. In a country where mobile ownership is fast rising, the digital banking model has huge potential for growth over the coming years. Roughly 81 percent of Nigerians are now mobile subscribers, while 53 percent are internet users, according to data from the Nigeria retailer Jumia. New opportunities have also arisen in Nigeria as a result of a scheme launched by the Central Bank of Nigeria, which oversaw the creation of a centralised biometric identification system for the banking industry. The system, instigated in 2014, was designed to cut through bureaucracy and reduce fraud by matching customers to their biometrics and providing them each with a bank verification number (BVN). It also paved the way for those without other forms of identification to access the banking system for the very first time. Wema decided to pursue the digital opportunities on offer by putting together a team of young, vibrant and forward-thinking Nigerians to conceive a comprehensive digital banking solution. Crucially, the solution was crafted with the goal of moving beyond people’s basic financial needs and focusing instead on being well suited to a customer’s lifestyle. In May 2017, the bank launched ALAT, Nigeria’s first fully digital bank. The digital bank was designed with a clear concept of the core services that it would cover. 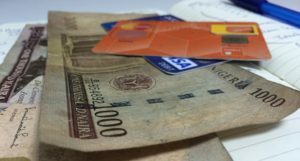 For one, it allows Nigerians to open a fully functional account online, meaning the entire process can be carried out without the need to visit a branch in person. Another key characteristic is that, with ALAT, customers can open a fully functional account from their mobile phones in as little as five minutes, which is the fastest of any account-opening proposition marketed by any Nigerian bank. It requires just two basic pieces of information to get an ALAT account up and running: the customer’s phone number and a BVN. The customer’s BVN contains sufficient biometric data to enable ALAT to authenticate the identity of the account holder in less than a minute, thereby ensuring a seamless front-end account opening process. All other documentation can be uploaded directly from a mobile device and verified by a back-end team, saving the customer time and money by ensuring the individual never has to visit a physical branch. Once an account has been successfully opened, the account holder can request a debit card at no cost, and can have that card delivered to a convenient address for free. Another priority for Wema is to ensure that the bank offers 10 percent interest on savings. “With ALAT, we have been able to reduce cost-to-serve to the bare minimum, allowing us to offer as high as 10 percent interest to ALAT customers that commit to saving diligently. Not only does this give customers a value-added service, but it also instils loyalty,” Oloketuyi added. Wema has also taken several key steps to enhance its services in a way that simplifies the banking experience in order to suit people’s everyday needs. For instance, it enables customers to purchase cinema and event tickets directly from the app, while it also allows them to receive notifications on the latest discounts and trends in their specific areas of interest. The attractiveness of the digital way of life led many Nigerians to switch to the Wema brand over the course of 2017. Indeed, in the first six months of its launch, ALAT attracted more than 175,000 customers and collected over NGN 1.1bn ($3.06m) in deposits. As such, the shift to digital banking is set to have tangible benefits for customers, for whom the convenience, simplicity and speed of services can translate into wealth-creation opportunities. Wema has not slowed its pace of innovation since ALAT’s launch, and has since released two upgrades — ALAT 2.0 and ALAT 2.2 — in the space of six months, expanding its service offerings to incorporate feedback from existing customers and market trends alike. Beyond ALAT, the bank continues to offer several digital products and services tailored to the specific needs of its customers across all demographics. For instance, it pioneered the use of card control in Nigeria, an in-app tool that allows customers to lock their payment cards from a mobile device. It is also part of the group of banks to successfully deploy mCash; a mobile service that allows merchants to receive payments by dialling a simple code. In addition, the bank continues to enhance its online and mobile banking apps to ensure it offers a seamless service across all of its banking channels. “We hope to grow our customer base to three million by 2020 by positioning ourselves as a forward-thinking brand that helps create wealth for all our stakeholders,” Oloketuyi said. However, Wema Bank hasn’t neglected its traditional banking roots: instead, it has employed a mixed strategy of optimising its digital channels and renovating its branches to improve ambience and aesthetic value. Excellence, enterprise and efficiency join technological aptitude as three more pillars of Wema’s success, and across each parameter there is a constant effort to monitor customer feedback to ensure any necessary modifications are made in a timely manner.